Industry 4.0: What Could Possibly Go Wrong? Digital transformation in this sector will have major implications for enterprise IT systems, software and network infrastructure. Industry 4.0 involves modeling and monitoring the physical world in the digital domain using cyber-physical systems. IoT plays a key role in sensing all of the critical elements in the physical world and delivering a continuous feed of sensor data to a Big Data analytics cluster situated in the cloud. Industry 4.0 “smart factories” consist of multiple cyber-physical system modules creating virtual copies of the physical world, monitoring physical processes and working cooperatively with each other in real time. What could possibly go wrong? No doubt, many things can and will, but let’s focus on the overarching challenge which is the massive scale of these operations. It is common for large industrial companies to have multiple factories distributed globally with close ties to key suppliers, which could number in the hundreds. 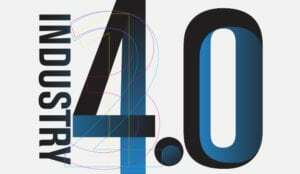 An Industry 4.0 manufacturing operation will involve continuously ingesting huge volumes of sensor data from a vast number of endpoints, typically several orders of magnitude more than even the largest enterprise manages today. Private cloud hyperscale data centers will be needed to support Big Data clusters for processing sensor data in real-time along with a whole host of Industry 4.0 applications for modeling, monitoring and controlling the collection of cyber-physical system modules that comprise the full-scale operation. These data centers will be based on a highly efficient leaf-spine switching architecture with full mesh connectivity, enabling network traffic to flow “east-west” between any two servers with minimal latency. This is proving to be the optimal data center network design for DevOps-based cloud computing applications deployed using vast numbers of containers running individual microservices. In my next blog post, we’ll take a closer look at the unique challenges of managing application performance inside these hyperscale data center environments.